As I write this the announcement of the 2010 Academy Award nominations is literally only a few hours away — and I’ll most certainly be discussing them tomorrow — but this late bird has some other worms to catch, starting with goings on up in Park City. * Yes, Kevin Smith and the premiere of his long planned “Red State” is the talk of the geek movie blogosphere today. Sundance can be a real circus and Smith was, I gather, both ringmaster and clown as he jokingly joined the protest staged by the detestable, publicity loving, Westboro Baptist Church who apparently noticed that Smith was attacking them. That was followed by a 26 minute pre-screening talkathon — which I’ve yet to bring myself to watch, though I’ve read the highlights — in which he announced his plans to distribute the film himself. * Speaking of talented makers of entertaining but highly imperfect films whose need to communicate can often place them at cross-purposes with themselves, James Cameron has told Entertainment Weekly that he’s working on the screenplays for two “Avatar” sequels with the intent of releasing them over Christmas of 2014 and 2015. To his credit, I think, Cameron says he’ll donate some portion of films’ grosses to environmental charities, who can use all the help they can get, considering our planet seems to be melting right at the moment. 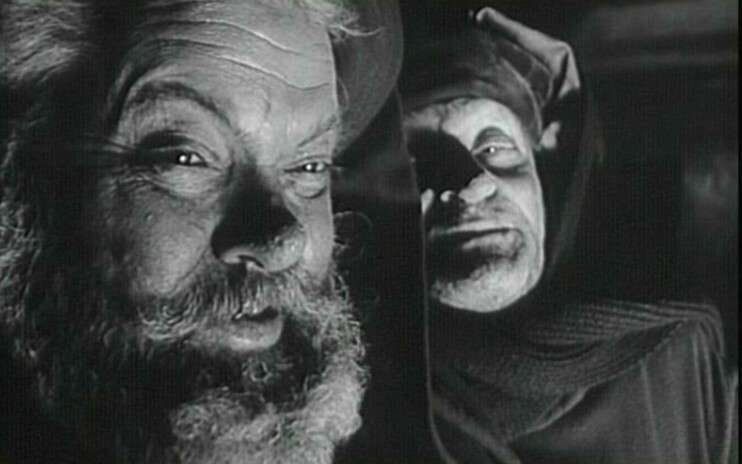 * And speaking of directors who at times have worked at cross-purposes with themselves, no one has ever done so in grander fashion than the late Orson Welles. It’s starting to look like his legendary unfinished 1970s project, “The Other Side of the Wind,” may finally get a release of some sort. Because Welles never edited most of it, there’s a school of thought that the film should be released only in unedited form. This is one of the more stupid schools of thought I’ve encountered. Thank goodness, DVDs can make the unedited rushes available to anyone who wants to imagine how the man might have edited the film itself, but rushes are not a movie. * Chris Hemsworth — aka Mighty Thor, God of Thunder — has seen the Avengers script by Joss Whedon and, guess what, he thinks its “incredible.” Ordinarily, I’d be skeptical of a star’s good opinion of his own movie, but this Browncoat needs it to be incredible. It better be incredible. No pressure, though. * Another Sundance sale. For what sounds like a small but intense love story, “Like Crazy” fetched a relatively big price. * Sam Raimi is still chatting up the possibility of some kind “Evil Dead” reboot. * An item left over from last week relating to another kind of evil dead: Sacha Baron Cohen and Larry Charles’ “The Dictator” based on a novel claimed by an obscure author you might have heard named Saddam Hussein. This is one movie I really have to see. * I really enjoyed interviewing Morgan Spurlock and he was as nice as could be, but he failed to mention anything about his latest, very clever sounding stunt-documentary “The Greatest Movie Ever Sold,” which has been getting great press at Sundance. Jerkface. Cameron attacks Beck! Beck attacks Cameron! Kevin Smith attacks me (and every other critic in the world)!! MI:4 gets jiggy with directorial possibilities!!!! It’s auteurs gone wild!